Hello to everyone out there in cyberspace! I can tell that you have been enjoying my posts that have been offering you a brief glimpse into the mysterious land that is North Korea. Today’s post is going to be a double feature since Day 3 really didn’t offer anything that spectacular in terms of food and drink yet my last day was filled with memorable meals. So, I’ll begin with January 2nd (our third day). Breakfast started off like any other even though they also had some delicious donkatsu (breaded pork cutlet) that actually had more of the texture of breaded sawdust along with the taste. 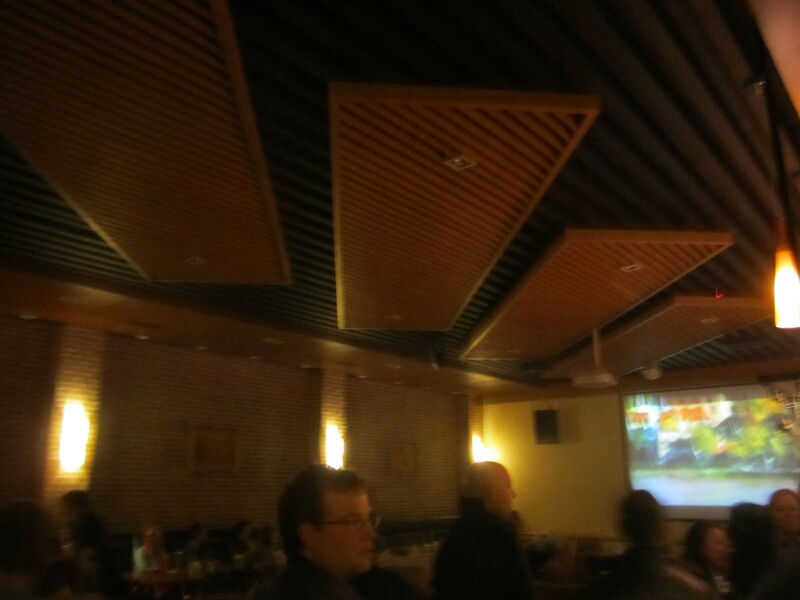 After hitting up some memorable sites like the Party Foundation Monument and took a ride on the Pyongyang metro, we ended up at another hokey foreigners-only restaurant in another anonymous building in the city. 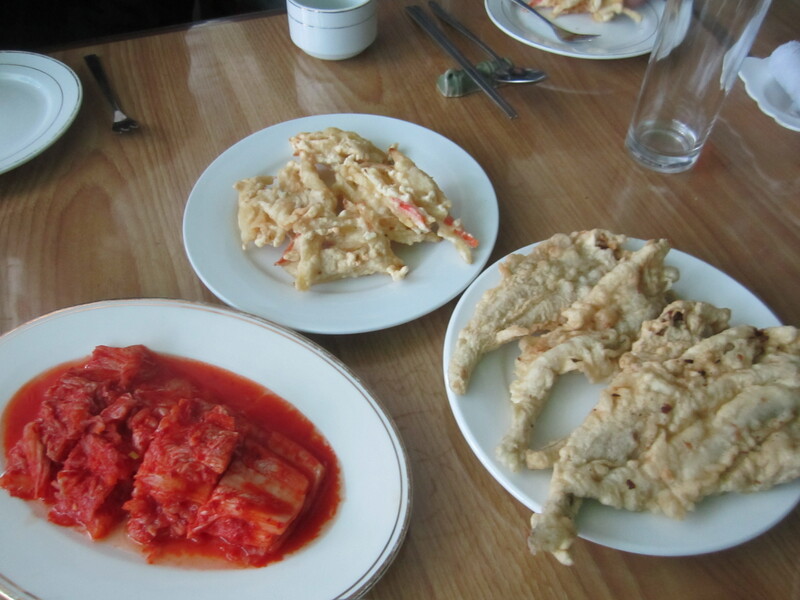 The only highlights of lunch were plates of fried food along with a rather bland bibimbap with limp vegetables. Weak sauce, North Korea (they didn’t even have enough gochujang or chili sauce for everyone). 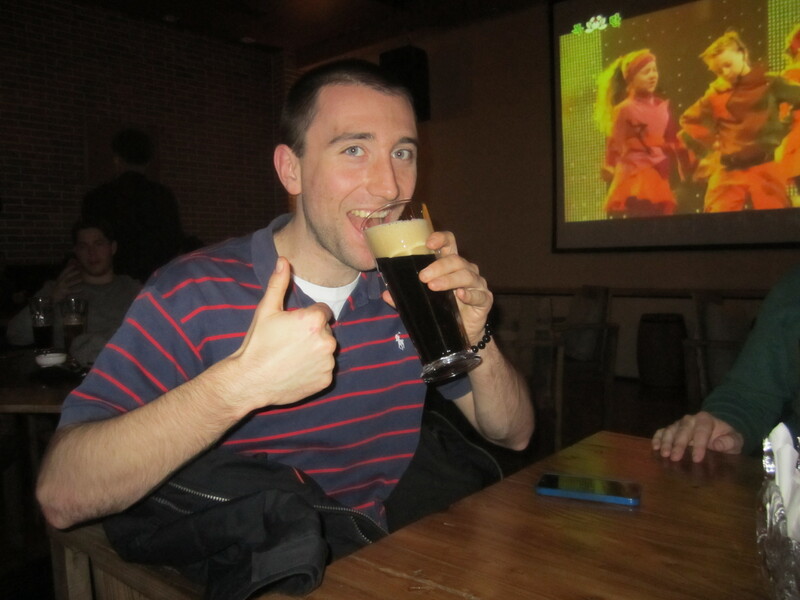 However, I tried a new beer called Bonghak or 봉학멕주. 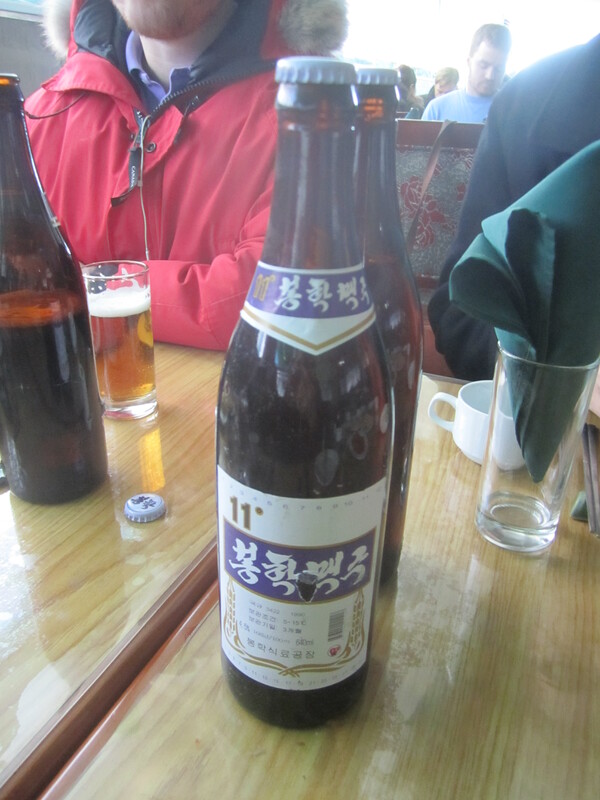 It was a little worse than the Taedonggang or perhaps on par with the common South Korean beers, i.e. an extremely watered-down lager. That was about it for day 3 which was kind of depressing from a culinary perspective, but day 4 more than made up for it. Day 4 was the same old song and dance with breakfast, but it was going to be a unique day as we would head to the North Korean side of the DMZ along with visiting the city of Kaesong. After a long bumpy ride through breathtaking mountain passes, we were introduced to the Korean soldier-guides at Panmumjeon, and we saw South Korea from the Joint Security Area. Their armistice museums were quite eye-opening as well, but I’ll save that for my travel blog. We rolled into Kaesong after the DMZ, and it was more like what I was expecting from North Korea in terms of a gloomy atmosphere. However, this wouldn’t translate to the food as we were served a royal meal in a gaggle of small golden bowls with each container containing a new nugget of nom. I didn’t know where to start once I un-capped all of the tiny basins. 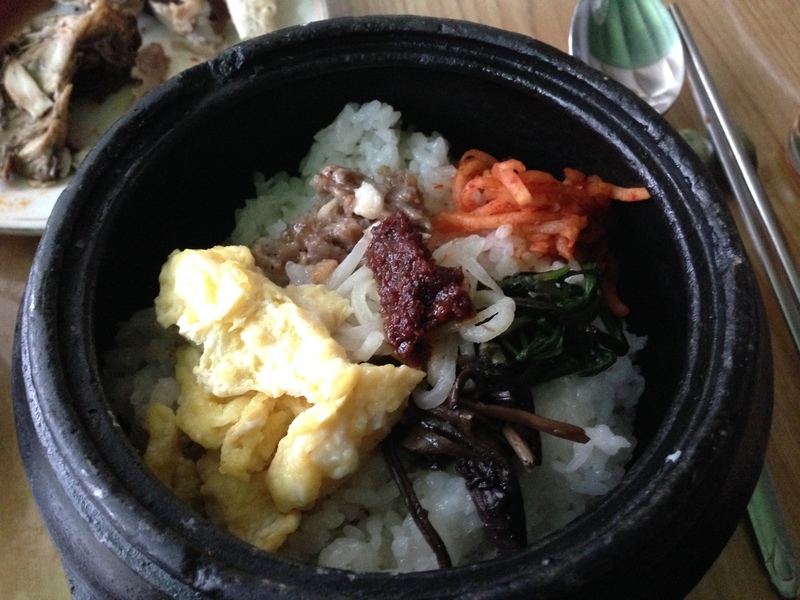 However, most of the elements were not new to me since they have the same dishes in South Korean cuisine. Go figure. I’ll break down the picture above for those not in the know. In the upper left hand corner, we have the dark green strips of dried and salted seaweed paper with a hint of sesame which makes the perfect encasement for making sushi rolls. 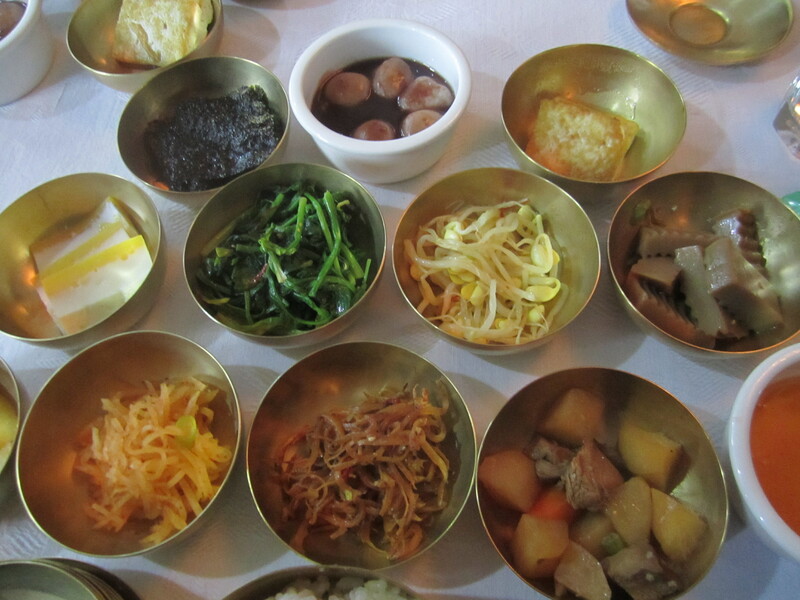 To the right in the white bowl are balls of tteok or sticky rice cake in a sweet red bean sauce. I’m not the biggest fan of either red bean or rice cake due to the savory flavor and lack of flavor, respectively, but these two together somehow managed to pass my taste test. Moving to the upper right hand corner is a simple piece of fried tofu. No fuss no muss. 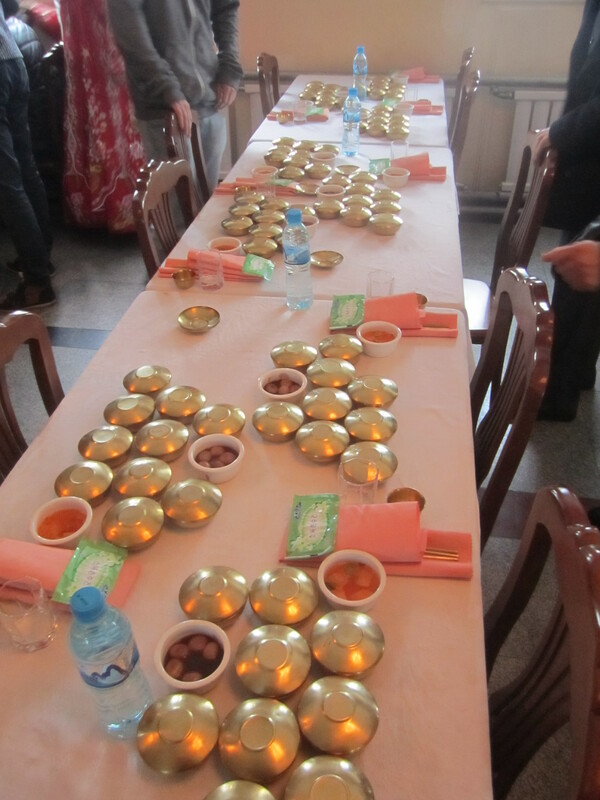 In the second row starting on the left, there is a bowl of random gelatinized eggs that were pedestrian in terms of taste, but the greens to the right of them were delectable and can be found in any bibimbap. The same goes for the bean sprouts right next to them. The last bowl in the second row is a bit different. It’s filled with green bean cake which was kind of disgusting. I don’t know why they feel the need to make regular and jelly versions of every food. The last three bowls were a bit more normal with the stewed potato strands on the left and salted baby fish in the middle. They’re very chewy and salty. The last bowl is a meat and potato melange. All of this was the backdrop to the star of the show: bosingtang or dog soup. 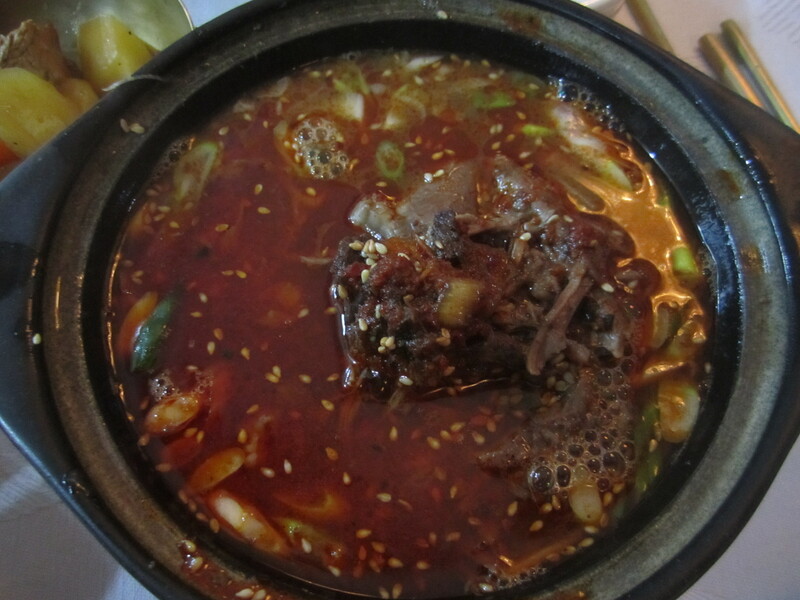 I’ve had dog soup before in South Korea, so I wanted to see who could do it better. In the end, the North won this battle because not only did they have more meat in the soup, but it was spicier which is a key element for me when it comes to savoring a great dish. It definitely beat the cold that pervaded almost everywhere we went since effective indoor heating doesn’t really exist in either of the Koreas. 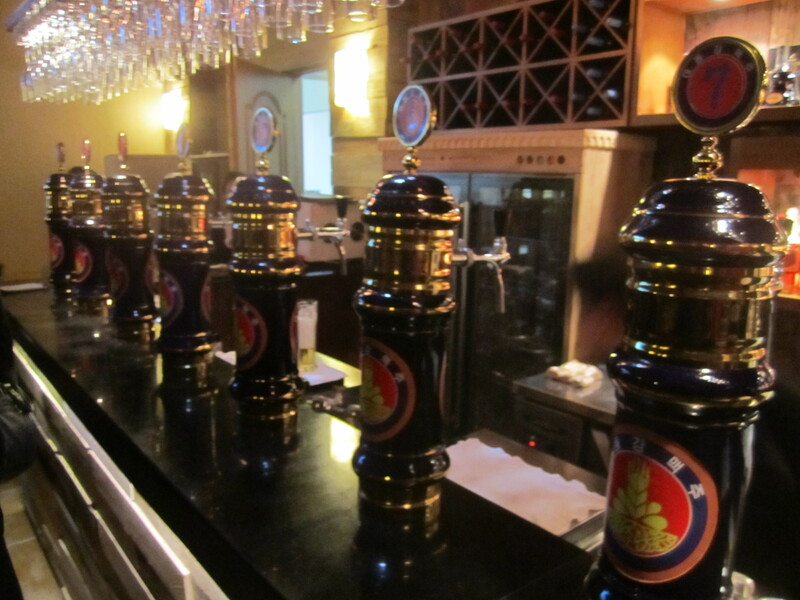 After leaving Kaesong, we ended up at the Taedonggang brewery bar which was extremely modern in decor, and could have been found in any major Western metropolis minus the wonderful Eastern European pop videos on the tvs from the 1990s. They offered seven varieties of beer from 1 to 7. 1 being the most like an English bitter and 6 and 7 being like Guiness. Everything between that was a terrible mix of rice and barley. I decided to go with a 6 since they were out of 7, and I did not regret my choice. For only two bucks I got a legitimate brew that would cost six times as much back in Seoul. There were other North Koreans coming in to drink with us, and I could tell that they were higher-ups in the party based off their nicer clothes and shiny new Juche pins. After downing our pints, we headed to our final dinner together. They sent us off in style with duck bbq Korean style. 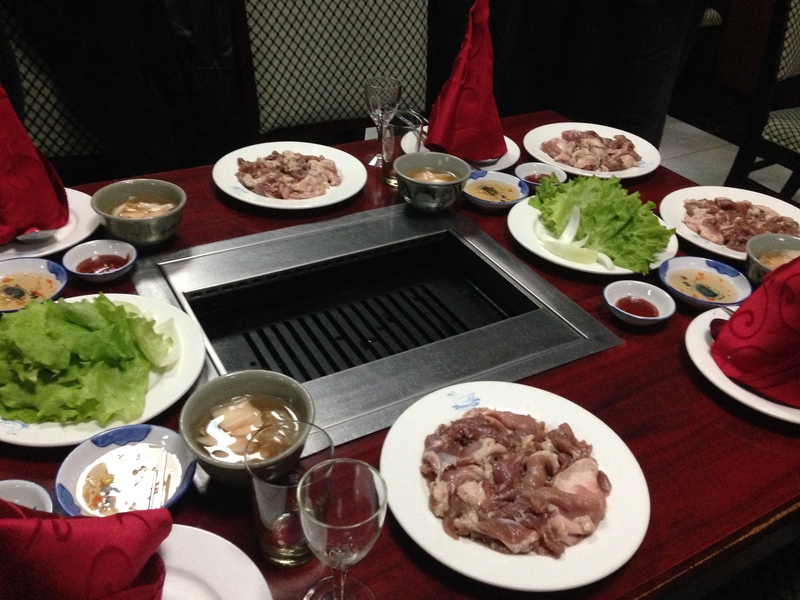 As with most other Korean barbecue, there was not much to it in terms of seasonings or anything like that. 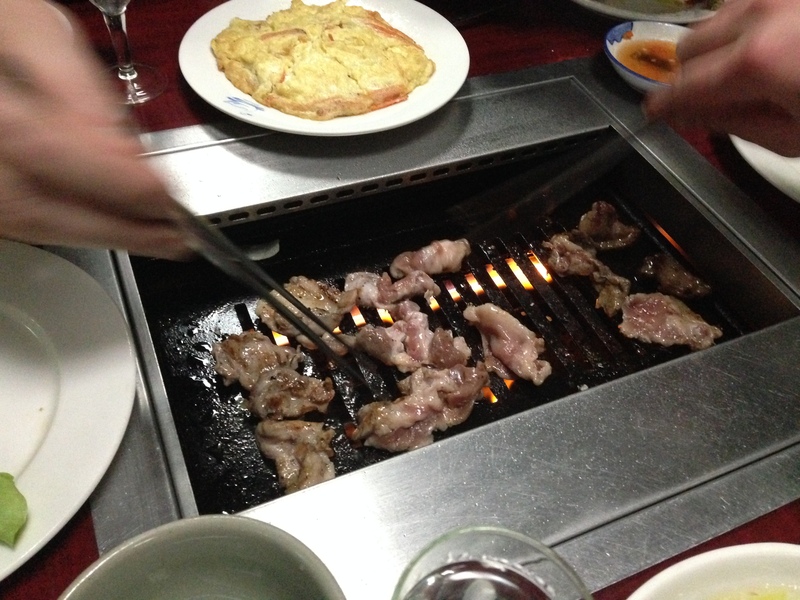 Just throw meat on a grill and eat along with the usual pickled side dishes. 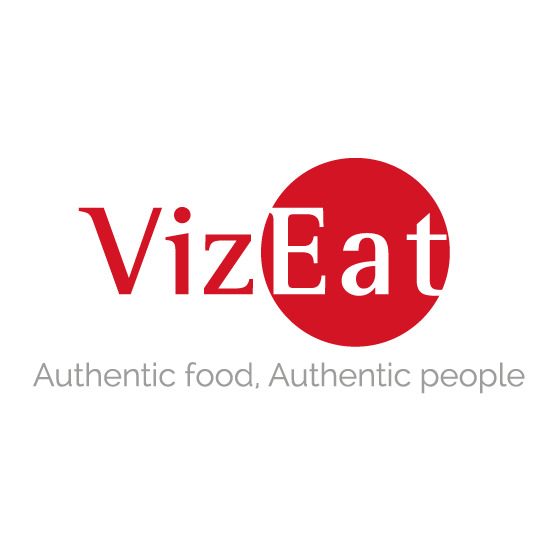 I did like their duck donkatsu which was a welcome change from the typical pork cutlet. 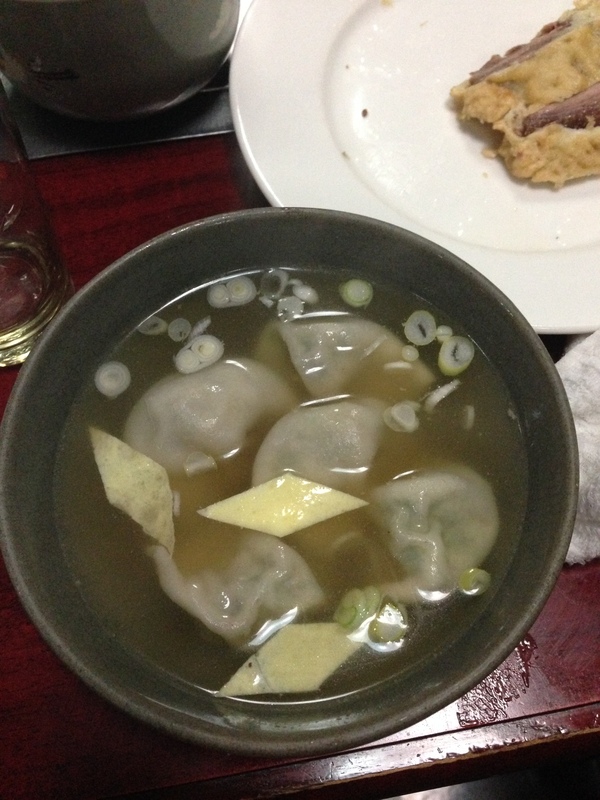 Their dumpling soup was pretty scrumptious as well. ‘Twas a fitting meal and an excellent end to a wonderful trip to the most magical police state on earth. 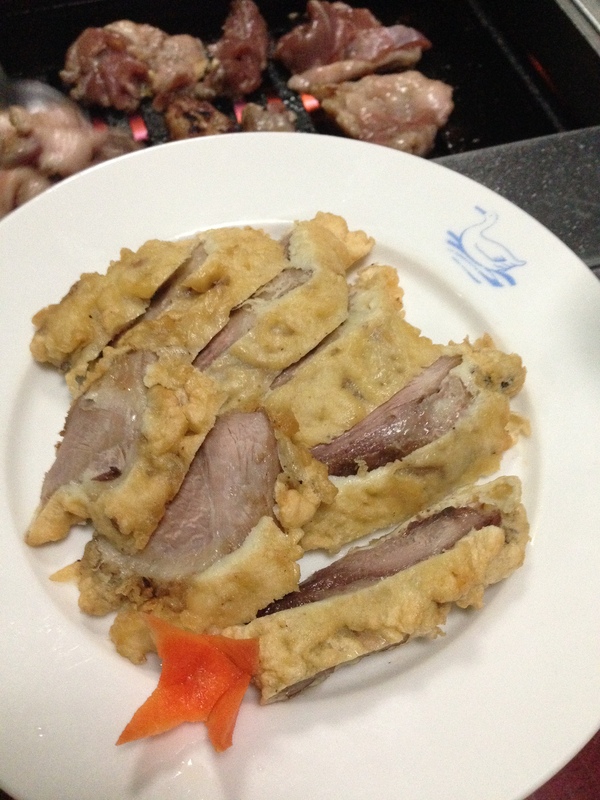 Stay tuned for my Beijing eating adventures that involve me consuming some interesting animals and parts of animals.